Joe Anderson honored by Bar - Burns Anderson Jury & Brenner, L.L.P. 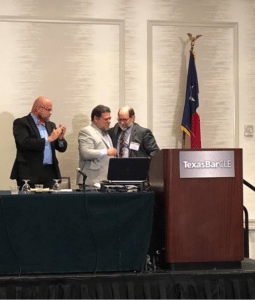 The State Bar of Texas Workers’ Compensation Law section awarded the “Barbed Wire Award” at the State Bar’s Advanced Worker’s Compensation seminar held in August 2018. 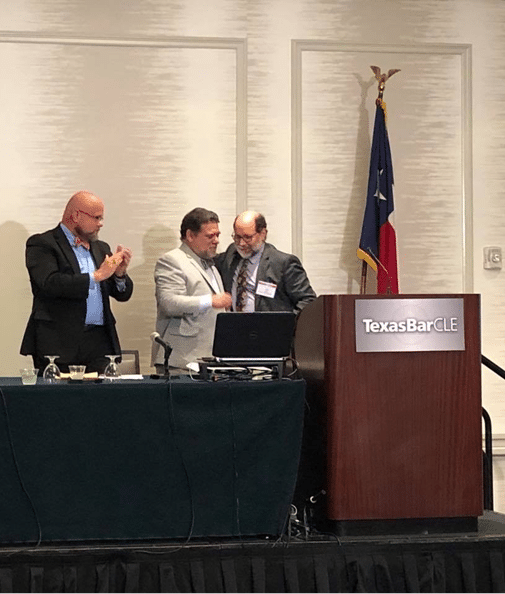 The award was presented to Joe R. Anderson “In recognition of a lifetime of achievement in Texas Workers’ Compensation.” BAJB congratulates Joe for the recognition of his past and, without doubt, future contributions to Workers’ Compensation jurisprudence.